STO. DOMINGO, ALBAY (November 5) – Brighter Christmas now awaits persons deprived of liberty said Senior Jail Officer Javier Kallos – Municipal Jail Warden, this municipality. 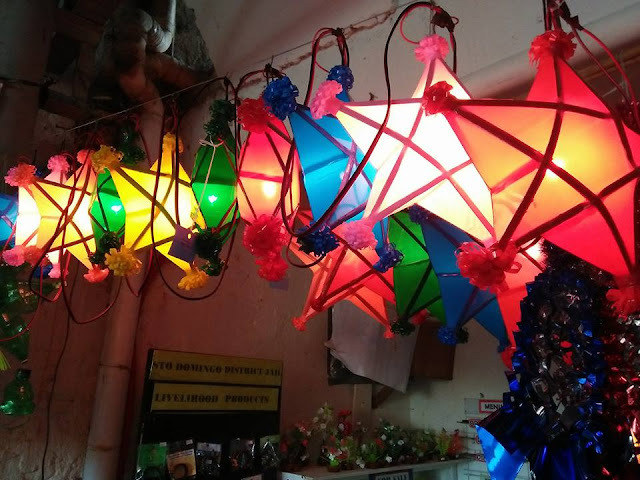 Colorful Christmas lanterns and décor and wide array of souvenir items made from recyclable materials are now for sale at BJMP here. Kallos said that while PDL’s were on detention BJMP with the help of partner agencies and the LGU trained them for skills that will earn them a living once set free.